A baby shower diaper raffle is a fun and useful door prize game. If you are planning on having a diaper themed baby shower then a diaper raffle is a fun baby shower diaper game to play, what’s even more cool is that the expectant mother will end up getting lots of well needed diapers. Before the shower you need to make sure that you have enough diaper raffle tickets so that each person that brings a diaper gets a ticket. When sending out invitations include information to let persons know there will be a diaper raffle drawing. That way they know ahead of time and not feel left out or on the other hand, obligated to participate if they don’t want to. Lots of hostesses include a short poem or a rhyme in the invitation to alert guests that there will raffle. Diapers are expensive so you want to choose a raffle prize that guests will see as being worthwhile since they will be forking out extra on diapers in addition to their shower gift. I suggest a budget of thirty to sixty dollars. Some ideas for a prize could be a small appliance, gift certificate or day pass to a spa or even tickets to a play, show or game. Just ensure that the prize will be something that the winner will appreciate and will use. If your budget allows you can also purchase prizes for second and third place winners. receive a raffle ticket for each pack of diaper they bring, you can also add that bringing a pack of baby wipes will also purchase them a ticket. 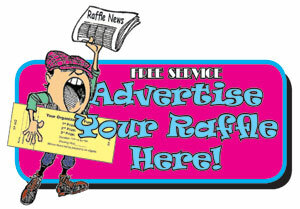 Collect all the raffle ticket stubs in a bowl or basket for the drawing later on during the shower. During the shower announce that you will be having the diaper raffle draw so that everyone can get their ticket ready in hand. Pick a raffle ticket from the bowl and call out the number or the name for that lucky person as the winner and show everyone what that person has won as the grand prize. Another way to play this baby shower diaper game is instead of asking persons to take along diapers to be eligible for the draw the hostess can let guests know that they can purchase a raffle ticket for the low low cost of a dollar. So for every dollar a guest will get one ticket. All proceeds will go towards the baby diaper fund. Have the drawing to choose a winner but bear in mind that because the cost is so low you do not want to spend too much on the prize. A good idea would be to go to a dollar store and purchase a few items to make a nice gift bag with some hand lotion, a loofah, bath lotion etc. or you can even bake up a batch of cookies or brownies as the prize. Kenesha Hodges is the author of fun-babyshower-games.com, a website designed to provide free baby shower games, ideas and advice. For more shower activities and games visit her at http://www.fun-babyshower-games.com/.